As should always be the case for an actor who is hoping to reach great heights in their career, he or she should train and have the versatility to take up roles in theatre, film, television, or radio, as Nonso Anozie has managed to do. The British-Nigerian actor, who attained great fame in the theatre acting world before stepping into screen roles, is best known for his roles in movies and series like RocknRolla (2008), Zoo (2015-2017), Cinderella (2015), and Game of Thrones (2012). Nonso Anozie was born on the 28th of May, 1979 in London, England, where he was raised by his parents who are originally from the Igbo ethnic group in Nigeria. Not much is known about his early life other than the fact that from a very young age, he had wanted to pursue a career in the arts. As the story goes, Anozie was influenced to follow his dream after meeting renowned African jazz musician Lord Eric Sugumugu who read multiple stories to him and his primary school classmates. After his secondary school education, he enrolled at the Central School of Speech and Drama, where he graduated from in 2002. That same year, he landed the title role in William Shakespeare’s King Lear and went ahead to make a name for himself in the classical theatre acting scene. One of his greatest accomplishments as a stage performer was winning the Ian Charleson Award in 2004 for his performance in Othello. In 2006, Anozie decided to branch out of theatre acting and try his hands at a few on-screen roles. His first job was supposed to be in the film adaptation of famed English novelist, Philip Pullman’s Northern Lights, where he would voice the armoured bear Iorek Byrnison, however, a few months before the film was set to be released, he was replaced by multiple award-winning actor Ian Mckellen. Anozie then went on to feature in films like the romantic war drama film Atonement (2007), the crime comedy film RocknRolla (2008), the comedy-drama film Happy-Go-Lucky (2008), and the crime drama film Cass (2008). Nonso Anozie gained more exposure when he played the roles of Artus in Conan the Barbarian (2011) and Jackson Burke in The Grey (2011), alongside Liam Neeson. In the following years, Anozie landed main cast roles in Dracula (2013-14) and Zoo (2015-2017) as he also starred in 7 Days in Entebbe (2018). According to multiple sources, Nonso Anozie is said to have a net worth estimated to be around $2 million. The actor, who began his career in theatre and has featured in a number of some rather successful movies and television series, was able to make bank mostly from his on-screen roles and award-winning stage acting roles. 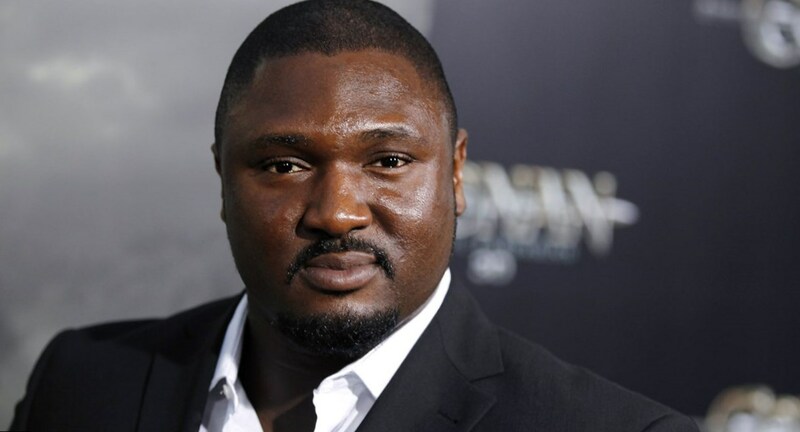 Anozie, who famously played the role of Xaro Xhoan Daxos in five episodes of the HBO series Game of Thrones in 2012, has also earned some money from his work as a voice-over artist, having lent his voice to a number of characters in video games like The Golden Compass (2007), Brink (2011), and Remember Me (2013), among others. 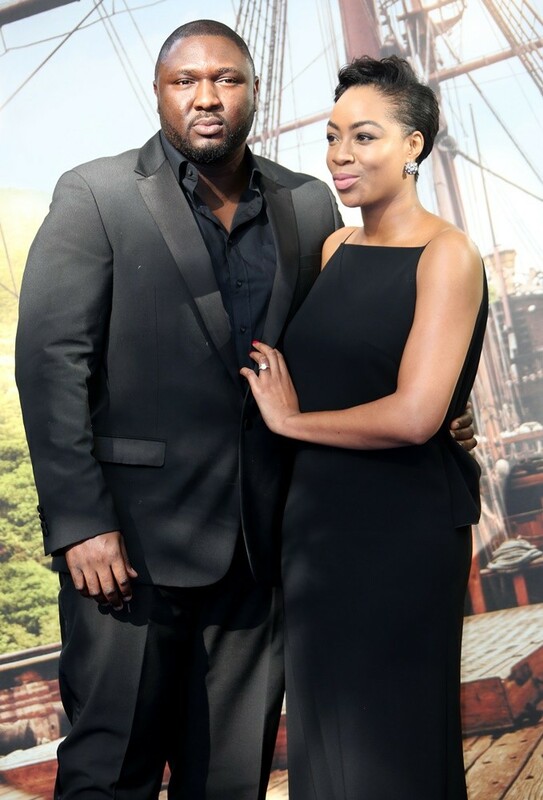 Nonso Anozie is one of those people in the limelight who love to keep some aspects about their lives under wraps as very little is known about his family and love life. There are a few reports that say that the actor is single while a few others have made a claim of him being married or at least in a relationship. One of such publications pointed to the lady pictured above with him whose identity is unknown. The pair has appeared multiple times on the red carpet together and during that time, the lady in question always spotted what looked like either an engagement or wedding ring on her ring finger. Thanks to his very big body size and frame, Nonso Anozie might just be the most recognizable person in the movie-making business, unless maybe he steps into a wrestling ring or kits in a rugby or American football uniform, then he could well pass as an athlete in either of those sports. The actor has a very impressive height of 6 feet 6 inches (198 cm) and weighs a whopping 127 kg (280 pounds).